Traditional style rear view mirror with a 9.3 cm diameter round lens. Jubliee clip for attachement to the handlebar. Solves problem of fitting a mirror to my new bike with 'sit up and beg' handlebars. Blackburn Mountain Mirror was great for previous bike & Brompton with straight handlebars. I would liked it to be a little longer and/or more adjustable. Is this a convex mirror? The mirror is not convex it is just flat. What Diameter Handlebars Will This Clamp To? 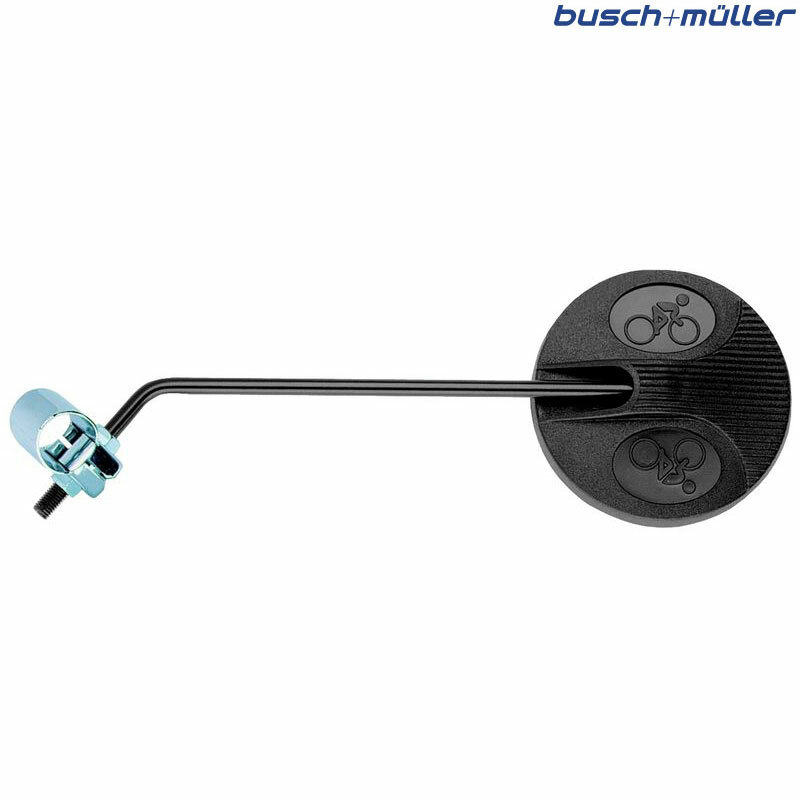 This fits to standard flat handlebars with a 22.2mm diameter where the grips, brakes and gear shifters mount to.